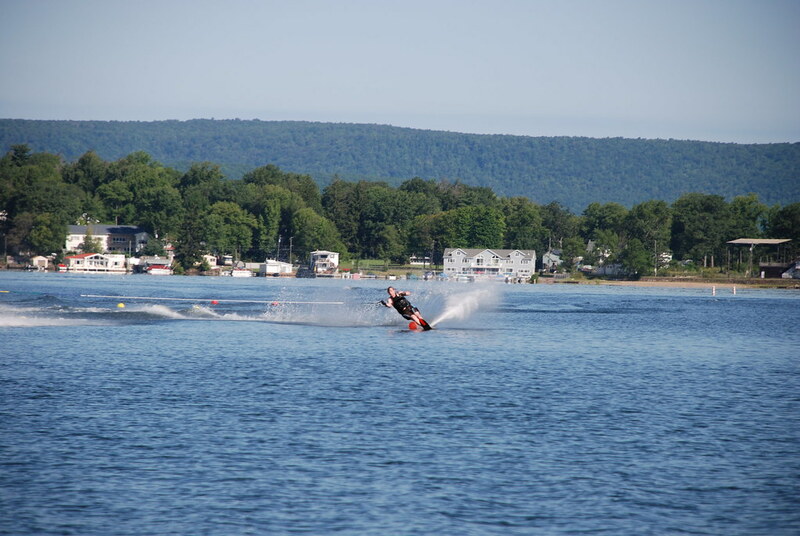 Last of living in NEPA…..
Posted by mike on August 22nd, 2009 under ??? 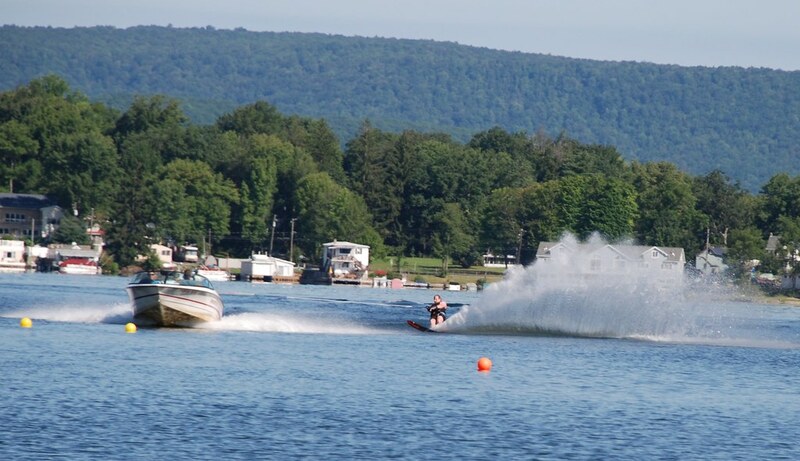 • Comments Off on Last of living in NEPA…..
Had a bad flight today…may water ski tomorrow…. Posted by mike on July 16th, 2009 under ?? 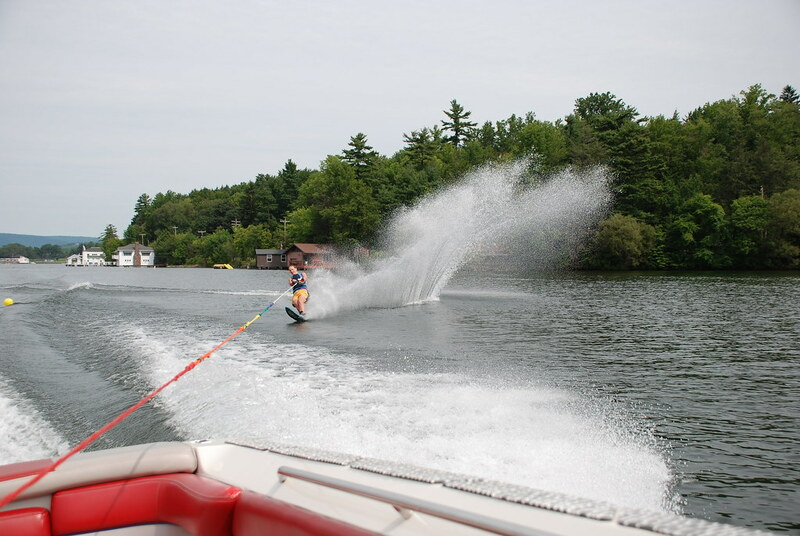 ?, Current Events, Karma, Skiing	• Comments Off on Life is Short…. 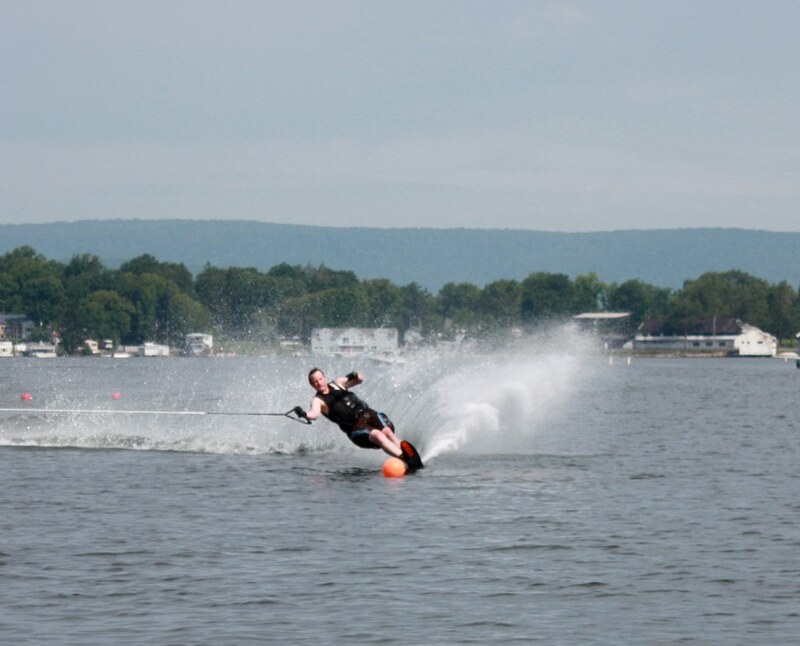 One of the nicest guys I learned to paraglide with passed away in a motorcycle accident today. Rest in Peace Svein…you were a hell of a nice guy. Boy life is short. 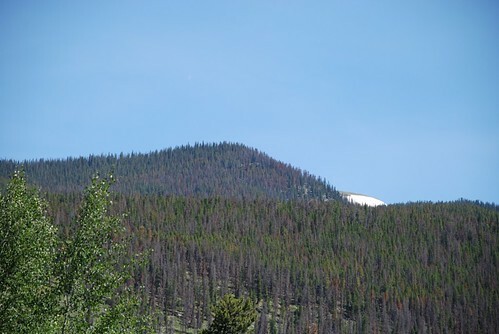 The brown trees in the above pictures were caused by the pine beetle…. The beetles kill the trees by boring through the bark into the phloem layer on which they feed and in which eggs are laid. Pioneer female beetles initiate attacks, and produce pheromones which attract other beetles and results in mass attack. The trees respond to attack by increasing their resin output in order to discourage or kill the beetles, but the beetles carry blue stain fungi which, if established, will block the tree resin response. Over time (usually within 2 weeks of attack), the trees are overwhelmed as the phloem layer is damaged enough to cut off the flow of water and nutrients. 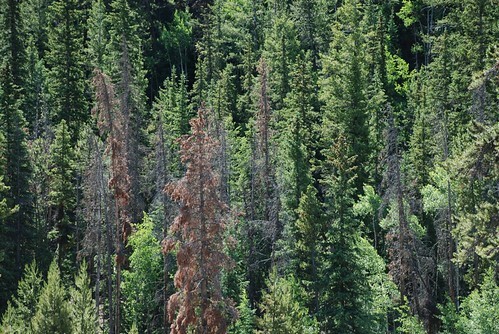 In the end, the trees starve to death, and the damage can be easily seen from the air in the form of reddened needles. Entire groves of trees after an outbreak will appear reddish for this reason. Usually, the older trees die first. 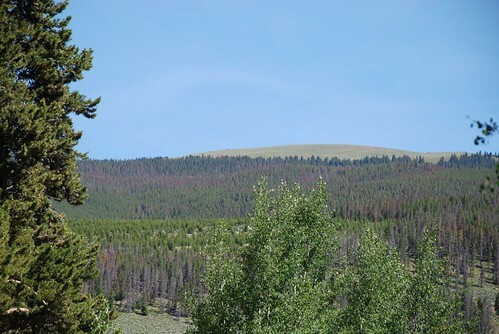 After particularly long and hot summers, the mountain pine beetle population can increase dramatically, which leads to the deforestation of large areas. Current outbreaks are in Rocky Mountain National Park. 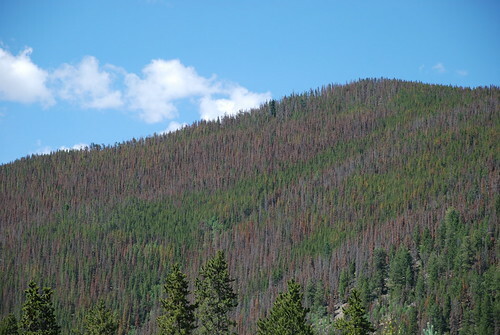 The current pine beetle outbreak may be the largest forest insect blight ever seen in North America. A cold snap in early 2008 was hoped to have dropped the pine beetle population to more manageable levels. However, preliminary results from the summer of 2008 indicate that the cold winter was less successful at killing pine beetle than predicted. This is where we take off Paragliding and Hang Gliding. Below and to the left is the Coors plant in Golden, CO. 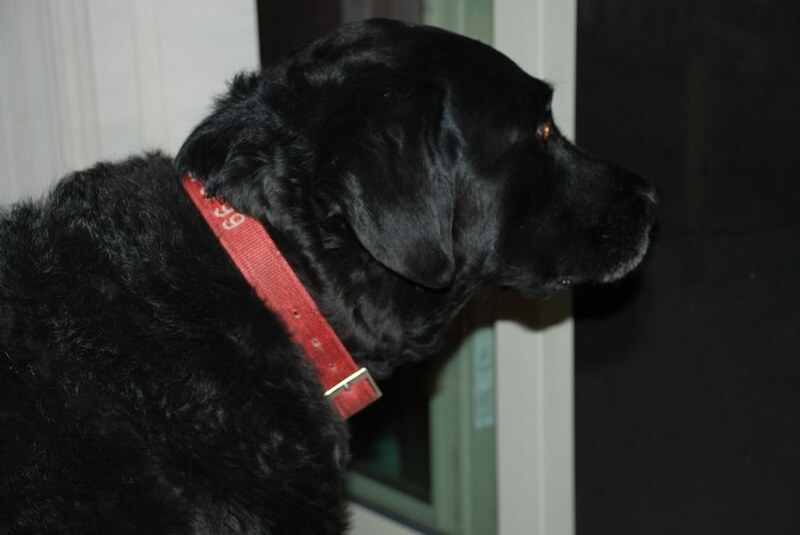 The person in the picture is Sam before his nearly 5 hour flight…pretty Fing COOL!!!! (The pic is bad because I took it from my phone). Posted by mike on June 23rd, 2009 under Current Events	• Comments Off on ???? The recent weather is a mess. I had two great paragliding flights at Lookout Mountain this morning in 80 degree weather. 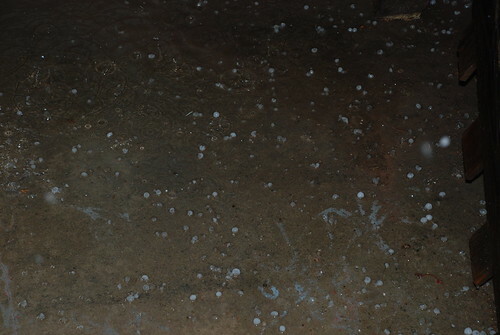 Now it is hailing. CRAZY!!!! My friends across the country tell me it has been raining virtually everywhere in the United States. You are currently browsing the Michaelbrice.com blog archives.